The shrimp cocktail I grew up with in Ohio was reserved for special occasions. It was served in a chilled martini glass filled with crushed ice topped with a dollop of horseradish and lemon juice infused ketchup, the shrimp dangling around the rim. I loved it. Mexican style shrimp cocktail is a more casual affair, but just as festive. 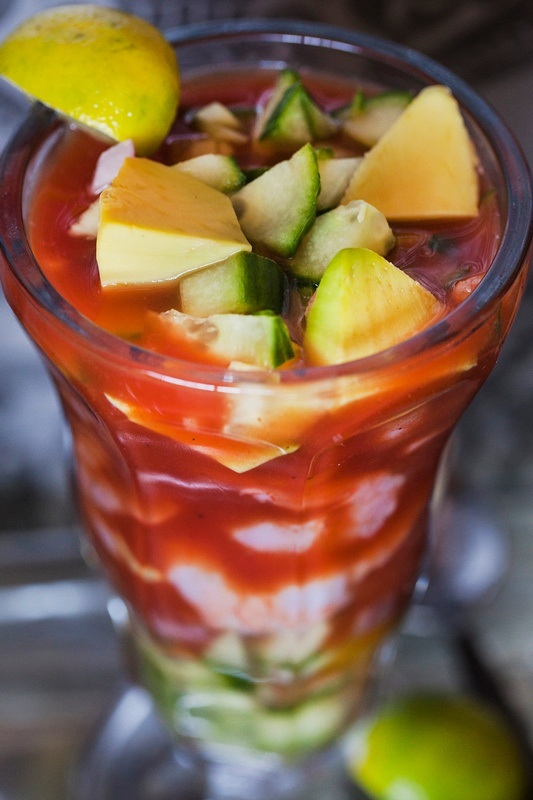 It’s traditionally served layered in the kind of glass used for ice cream sundaes, along with the customary long spoon, and since I make mine with Bloody Mary mix and hot sauce it’s ready in about 5 minutes. 3/4 cup Bloody Mary Mix. I love Trader Joe's version it works perfectly with this recipe. 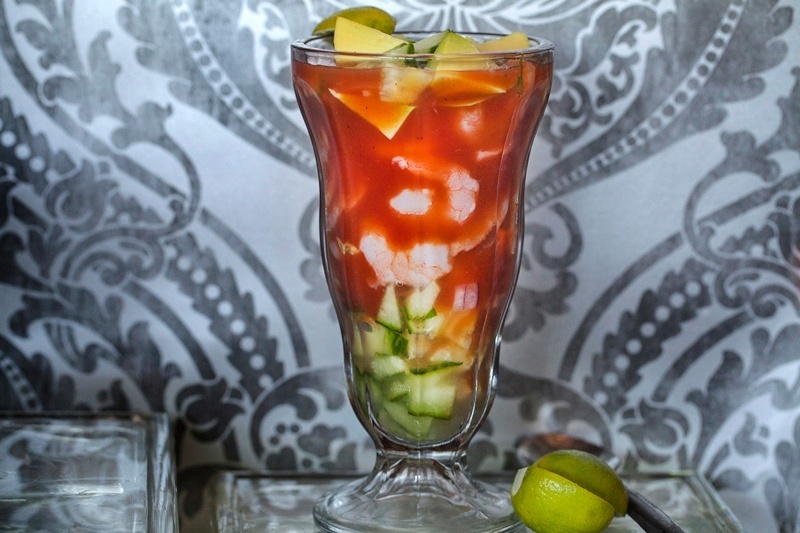 Layer the cucumber, onion cilantro and shrimp into sundae dishes or large glasses. Pour in the Bloody Mary mix to fill. Top with avocado, and more cucumber. Makes 2.